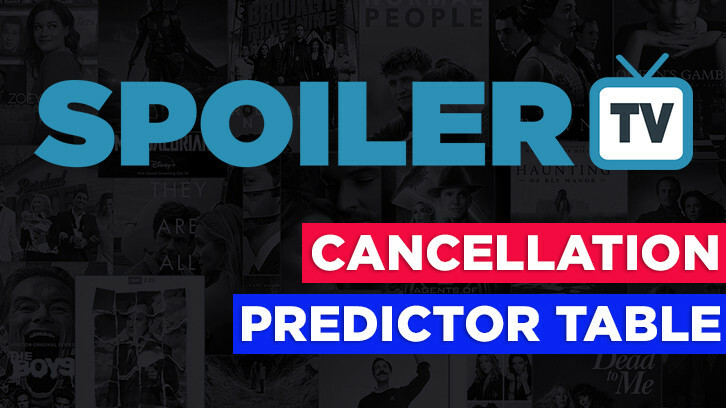 Last year, each week, we updated our data (see the notes below about how we get our data) in order to see if we could predict which show(s) would be renewed or cancelled. As you can see from last years summary, we did pretty well. We're hoping this year to make it even more accurate. This index is by no means a 100% accurate guide about if your show is safe or in danger and should be seen as a bit of FUN. NOTE: Until we have at least 3-4 weeks of data for each show that this table is not going to be very accurate and it will vary a lot each update. We'll try to update the full Cancellation Table every couple of days as we get new data in. 26th Sept - First Update of the New Season. 1) The Higher the Index Rating number the more likely a show is to get cancelled, lower numbers = safety. 2) This is an ongoing exercise that I hope to refine each week to make the index more accurate. 3) Only the major networks are included currently ie ABC/FOX/CW/CBS/NBC. And only for the main TV Season ie we don't cover Summer Shows. 4) This chart is a prediction of all the shows using our own formula based on the viewing numbers, 18-49, and + 7 Numbers. These 3 factors are the main weighting of the Index number, however we also factor in things such as the Network they are on (eg CW shows get lower numbers), the day of week they air (eg Fridays are lower numbers), DVR Numbers and +7 and +3 numbers,DVD/Blu-Ray Sales,Production Costs, Cast Contracts/Availability, Syndication, online popularity such as streamed views and Torrents, Nielsen Online Ratings etc. 6) Remember Ratings are relative to ratings for other shows on the same network. 8) Shows with an Index over 5 are likely to be cancelled, 3-5 - in danger and less than 3 safe. Although shows nearer 3 are more in danger than a show with a lower index. 9) You can access this page via either the Start or Features Menu above or simply by Bookmarking it. Here is a direct link to the full spreadsheet. If you have any questions/suggestions, please don't hesitate in asking in the comments below.